Final Project Update March 2016. 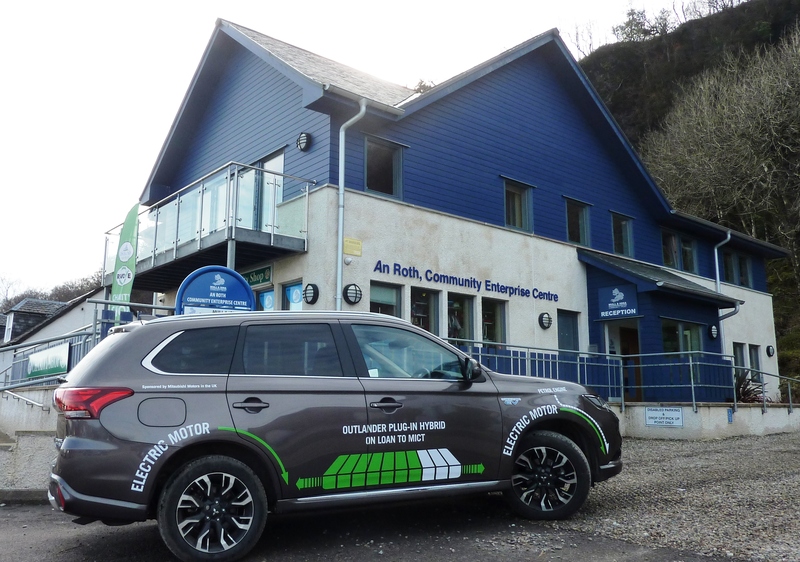 The Mull and Iona Sustainable Transport Project aimed to promote a more sustainable transport system for the Island communities of Mull and Iona. The focus of MIST was to comprehensively review current transport on Mull and Iona and actively suggest ways of improving what is already in place; integrating this with new ideas and technology to future proof and reduce the carbon emissions. INFORMATION – MIST worked closely with the local council to produce a comprehensive list of transport providers on Mull and Iona to add to the established Travel Times Transport guide. Also added to this guide were details of the charging point network, charging map and contact details for electric vehicle (EV) information. Eleven thousand copies of this guide were printed for distribution around Mull and Iona as well as the mainland port town of Oban; an online version of this guide was also made available. TECHNOLOGY – By March 2016 the number of Electric and Plug-In Hybrid vehicles on the island had increased from 3 to 11 more than doubling the project target. The island now has 8 resident all electric car owners and 3 Hybrid owners, 2 of which are plug in hybrids. As a result 8.92 tonnes carbon was saved (pro rata annual saving is anticipated to be 11.26tonnes CO2e which will make a lifetime saving of 112.6tonnes CO2e over ten years!). Extensive research into the most suitable EV began in June resulting in the purchase of 2 vehicles; a Nissan Leaf Acenta and a Citroen Berlingo LX Electric Van. A Partnership agreement with Mitsubishi Motors resulted in the short term loan of a third vehicle Mitsubishi Outlander PHEV. John Lilly (Dragon Electrics), an expert in EV conversions, was invited to the island for a series of events to raise awareness of how different EVs work and look in depth at maintenance and safety issues specific to EVs. COMMUNICATION – A total of 10 events were attended and 8 events/workshops were run by MIST Project Officers; including partnership working with Energy Savings Trust and Dragon Electrics. Test drives in the MIST electric vehicles amounted to 141!! greatly exceeding our expectation. Thirty seven businesses were contacted informing them of the Government incentives available. Of those contacted 34 followed up for more advice and 29 proceeded to test drive and loan one of the MIST vehicles. Two local electricians were sent information on how to become a certified charge point installer. SUSTAINABILITY – In July 2015 MIST set up Mull and Iona Lift-share Facebook Group. We attached a teamup calendar for forward planning, accessible via direct link to the Facebook group. The membership grew to 452 over a period of 7 month with members regularly interacting with the group. A total of 37081 km were offered with an uptake of 14432 taken; creating a carbon saving of 3357kg. Car statics were produced with a Lift-Share logo and slogan to be presented on member’s vehicles. Designated lift-share parking bays were pursued with the council and private organisations; negotiations will continue past the project lifetime to attempt to secure parking bays for the Mull and Iona Lift-Share group. SAVINGS – Three consecutive days for fuel efficient driver training were booked from 2-4th March 2016. Nineteen places were taken; drivers participating had above average annual mileage, typical for the area. A total lifetime savings over 10 years of 89.95tonnes CO2e was calculated. NEXT STEPS – Mindful of the need to secure a long-term legacy of sustainable transport on the island beyond the project duration, a feasibility study for the car club was produced. The plan incorporated both the project vehicles into a community car club and used knowledge gained during the year to produce an action plan and financial forecast. IN THE END – Overall, MIST objectives were met and outcomes exceeded expectations. In addition the project was recognised both locally and nationally through the media and was awarded the Scottish Rural Parliament Award for Innovation and Transport. The enormous support from the community made this project such a success. From all at MIST we would like to say a huge THANK YOU! We hope to see MIST part-two in the not too distant future! The MIST project has now come to an end. For any electric vehicle enquiries, please call the office on 01680 812900 or use the button below to email us.